One of the pains of owning a PC that's getting towards the end of its life is dealing with the ever-shrinking amount of storage as your PC fills up with music, photos, and documents. In the end, the only way to battle the bloat is often to get a new PC or more storage—but until you do, there are a number of tricks you can employ to make space on your PC. A particularly handy one is to eliminate duplicate files and folders on your hard drive, getting rid of superfluous data you don't need. You'd be surprised how much content ends up duplicated on your PC thanks to a sync gone wrong with iTunes or an errant click with the photo importer. DoubleKiller is an all-purpose duplicate finder that can scan folders, your whole drive, and even other PCs on your local network. It compares file name, size, modification date, and even content (presumably by hashing a file's contents). The program also lets you exclude files by name, size, or type (XLS, MP4, etc.). 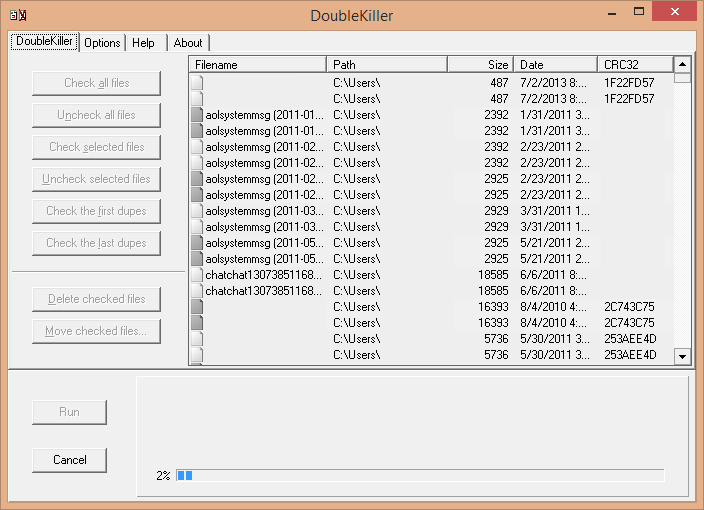 DoubleKiller has a lot of great features, but the interface may not be as straightforward as it could be. If you find yourself confused, start by adding some folders to scan under the Options tab then, go back to the DoubleKiller tab and click Run. Once it's done you can decide to delete your duplicates or move them to another location. 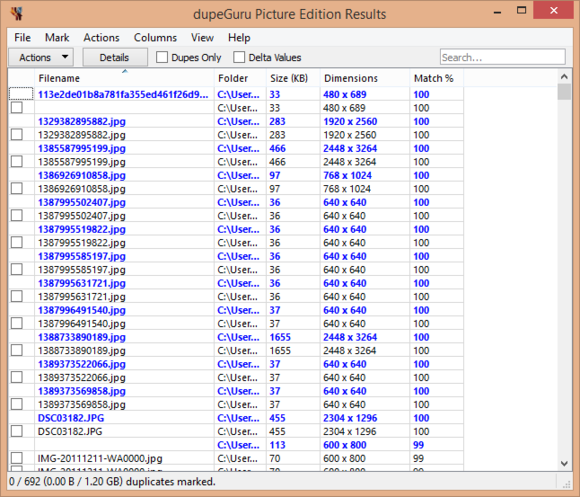 DupeGuru PE is very easy to use. All you get is a simple window with options to add folders for scanning. When you're ready, just hit Scan and let the program do its magic, then decide what to keep once it's done. 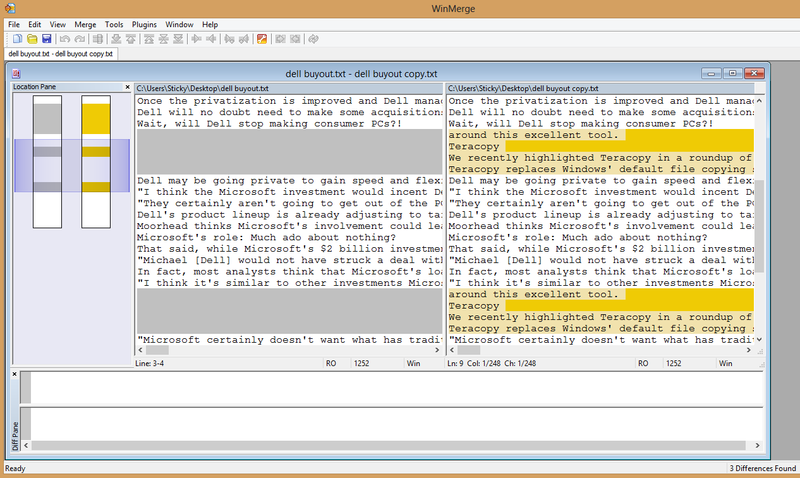 Unlike the other tools in this article, Winmerge isn't about searching your hard drive for duplicate files. Instead, you have to know that the two files or directories you're comparing are similar or earlier versions of each other. The big advantage is that you can see the differences and then easily bring your files together into one canonical version. 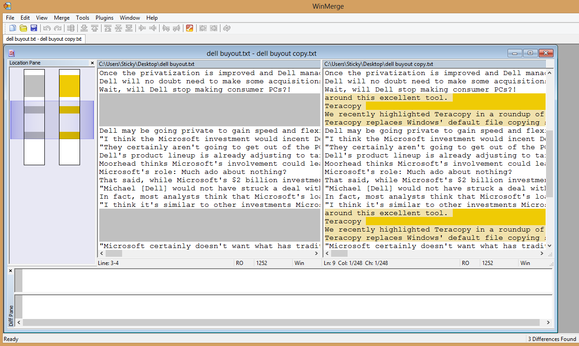 At first glance, you may find Winmerge's interface a little overwhelming, but don't be intimidated. The icons are designed to offer visual cues to help you understand how everything works. With these three tools you'll end up with a little more space on your hard drive in no time.